Samsung Electronics Co overtook Apple Inc as the world's top smartphone maker in the July-September period with a 44 percent jump in shipments, and forecast strong sales in the current quarter in a clear warning to its rivals. Samsung (005930.KS) only entered the smartphone market in earnest last year, mbut its sales have skyrocketed thanks to a sleek production system that rapidly brings new products to market. Apple (AAPL.O) introduced its first iPhone in 2007. 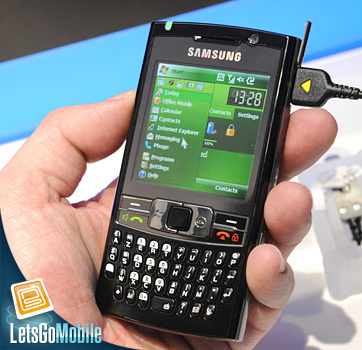 "In the handset division, Samsung has no real rival models to challenge its products except for the iPhone 4S. Apple and Samsung will continue to dominate the market in the fourth quarter," said Kim Hyun-joong, a fund manager at Midas Asset Management, which owns Samsung shares. Profits from the South Korean firm's telecoms division, announced on Friday, more than doubled from a year ago to a record 2.5 trillion won ($2.2 billion) and accounted for 60 percent of Samsung's total profit, offsetting a plunge in earnings from its bread-and-butter memory chips.